For over 40 years, we have been installing boilers and process piping. 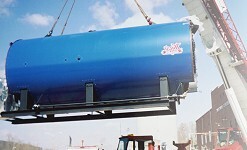 Our staff is one of the most highly trained, certified and experienced of any mechanical firm in our surrounding area. National Board of Boiler and Pressure Vessel Inspectors' Certificate # R-2505. Process Piping can involve many different types of products. 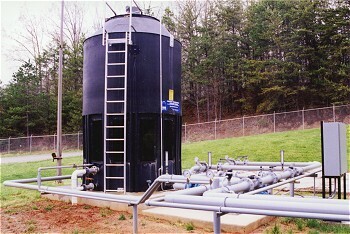 Shown in this first picture is a cooling tower with pumps and associated piping. 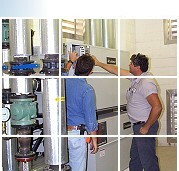 Boiler Installations have always been an integral part of Prillaman & Pace's business. 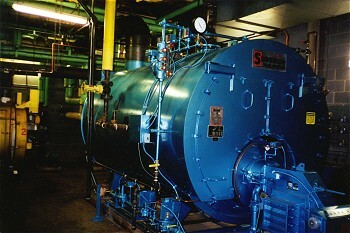 Shown in the first photo is a Superior Boiler, installed in 1999 in Danville, VA. 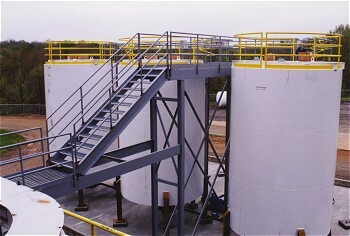 Recent expansion of the Tank Storage System at Cooke Composite's in Chatham, VA. This project involved placing 6 new storage tanks and associated pumps & required process piping.